Trequonia was released over a year ago, so I apologize for taking so long with this, but the fact is that playing Trequonia all the way through is an astounding amount of work. There are close to 20 maps in Trequonia and most of them are huge and at worst extremely frustrating. You can easily squeeze 20 hours out of playing the game (which works just fine without a copy of Duke3D). So if you're on the lookout for an epic (and epicly frustrating) adventure, click the download button below right now. Otherwise keep reading. The name "Trequonia" itself refers to an artificial planet (think of Anachronox) overtaken by various nasty aliens and space pirates. Before they get a chance to wreck havoc on Earth as well, a furry (that's you) living at a wildlife sanctuary has to make his way up to Trequonia and blow it to pieces, thus saving Earth (in a twist of historical irony to say the least considering furries and weaboos are single-handedly responsible for the decline of the Western civilization). That's pretty much the gist of the story which, by the way, takes place within the same fictional universe as Zaxtor's previous mega project, Oblivion. Thus, anyone familiar with Oblivion will instantly feel right at home; in both good and bad. The design of the maps is quite mind blowing. It's not just the details but the setpieces, the sheer sense of scale and the complexity that continuously impress you. 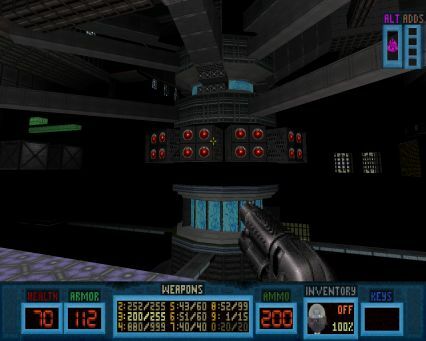 The game makes extensive use of spritework and various room-over-room effects to give the impression of a true 3D space. Every map is filled with new effects and features, and there is also the occasional new voxel graphic every now and then. Zaxtor is particularly adept at constructing huge machinery such as reactors (often it feels like every map has at least one), and the way he constructs spaceships is as if he's a kid again, building bigass spaceships out of LEGOs. The maps are also massive in size: I could finish a few in about 30 minutes or so, but around midway through you should start expecting an hour's worth of playtime per map, sometimes even double that. There's also some variation in themes, ranging from wildlife sanctuaries and cities to spaceships and underground bases (even if emphasis moves a bit too quickly heavily in favor of the latter). Moreover, these maps convey a great sense of adventure as you make your way from a Terran sanctuary all the way down to Trequonia's deepest bowels. There's plenty of new code in Trequonia to make Zaxtor's ideas and ambitions come alive. He's put in cutscenes, traps, new items, complex bosses and a lot more. 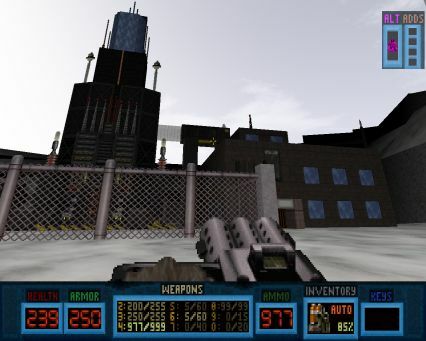 The game's soundtrack has been drawn from various early '90s console games, which works far better than one would expect. The art is mainly stock Duke3D material but in a high-res format. This combined with the complex, multilayered maps takes a toll on performance, particularly on map loading times, but luckily my framerate rarely dropped below acceptable. Unfortunately when it comes to gameplay, Zaxtor's bad habits have only gotten worse. 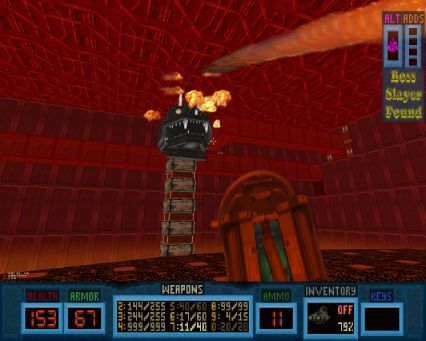 The gameplay owes a lot to the 8- and 16-bit era SEGA and Nintendo platformers. The game is littered with platforming segments involving disappearing platforms and pits of death, which are a nightmare to work with considering the game's somewhat slippery controls: the Build engine simply wasn't meant for stuff like this. After a few failed (but fair) attempts the tilt becomes real and you start doing progressively worse. In fact, a few times the game crashed on me after too many reloads as if to tell me "enough if enough". Zaxtor probably watched one AVGN episode too many and thought to himself, "That's how I want people to feel when they play the game." Then there's the waiting. The joy of coming across a good idea dies out quickly as it overstays its welcome. 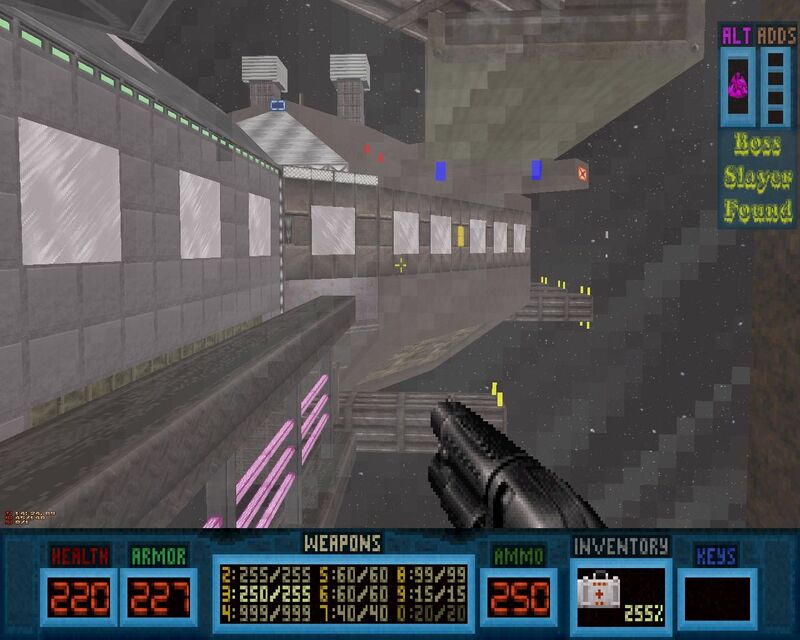 For example, in one of the latter maps there's a long corridor you have to run through while using holes in the ground to avoid a periodical beam that obliterates anyone in sight. A good idea, but why do I have to wait 20 seconds between each shot? Cutting it down to two seconds wouldn't make the segment any less challenging, only far less tedious. 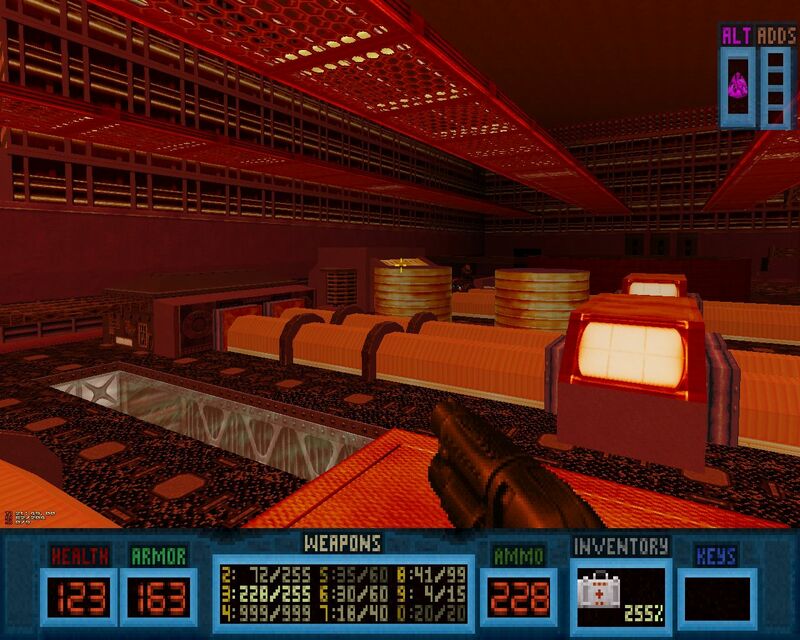 The game's virtual reality segments also have these red tiles that have no other purpose but to block your advance for about ten seconds. They contribute to difficulty in a rather indirect way; you take more risks because you want to avoid having to wait. The burning floor tiles aren't the biggest enemy - your own patience is. 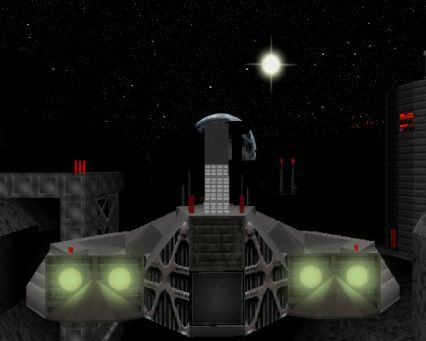 Enemies suffer from the same issue: while your typical enemy is either a Trooper or an Enforcer, they usually have new guns and much-improved health. One particular Trooper variant takes 40 (!!!) shotgun blasts to die. 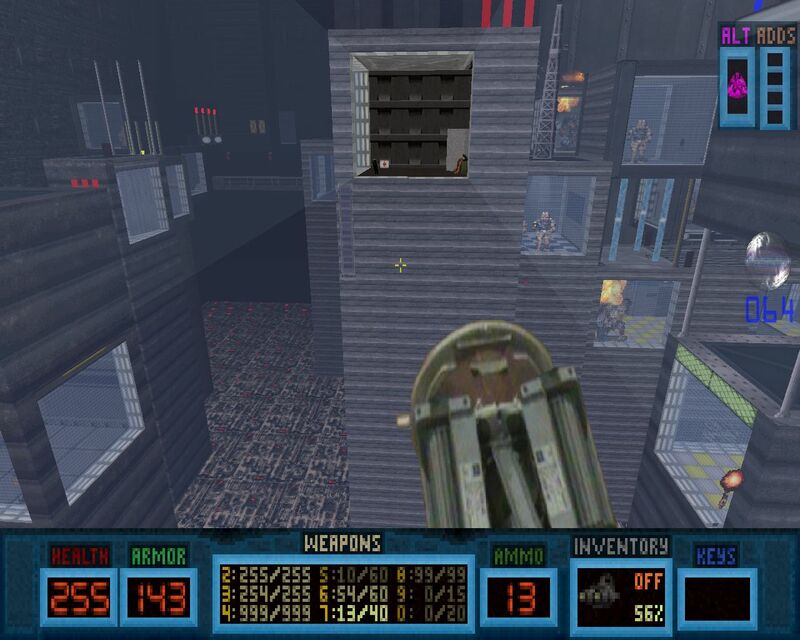 At one point you'll get a damage modification for the shotgun that should make killing quicker, but its sound effect wrecked such havoc on my eardrums that I had to play Trequonia entirely without sounds for a few maps until Zaxtor named the offending audio file (slipp.voc), enabling me to simply delete it. (Not to mention it's never explained how the weapon modifications should be activated in the first place.) There are a few wonderfully powerful weapons in the game, but you cannot rely on them all the time. Fighting enemies then becomes more of a time sink than a genuine challenge. And it's not just these few cherry-picked instances; every map is littered with stuff that unnecessarily makes you wait or shoot at some object for several minutes. Enemy placement is another perennial problem. 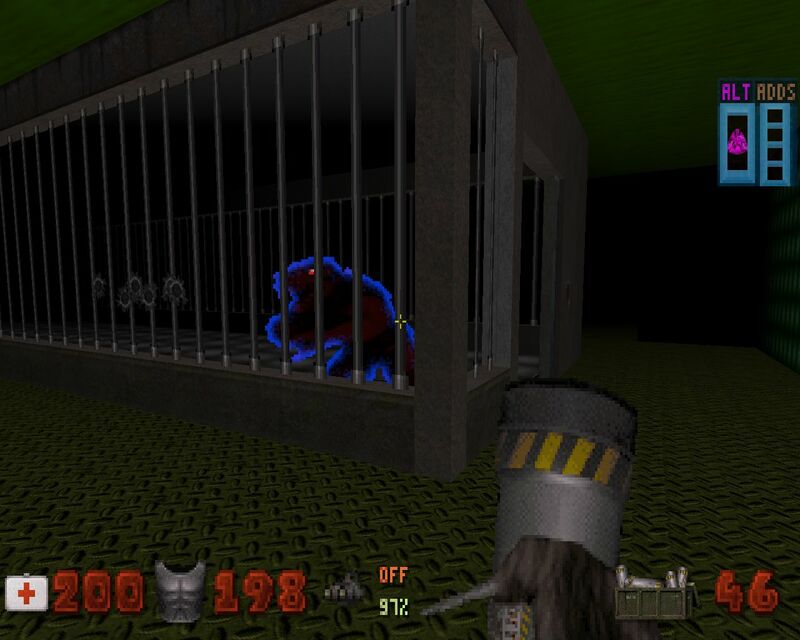 You often have to face enemies in long hallways with no cover or right at the end of a platforming bit, and the enemies you come across in these situations tend to be various enhanced Enforcers. (Hitscan enemies+no cover=faux pas.) Battlelords appear almost without exception in tiny rooms, which too breaks every convention imaginable. 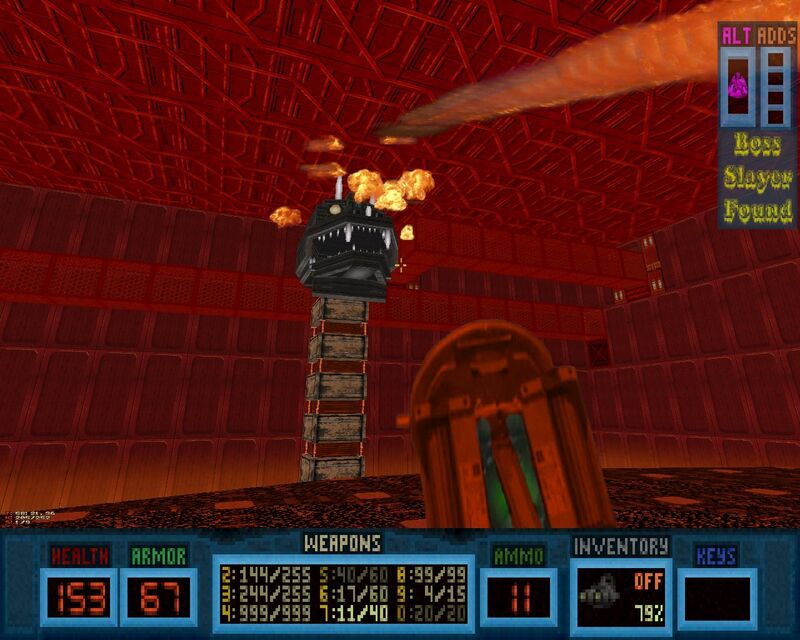 The bigger bosses are often of the Icon of Sin type, i.e., huge, static constructions that spit projectiles at you while you keep firing at a small dot. The constructions themselves look pretty epic; there's everything from smaller machines to fire-spitting dragons. But it just takes far too many hits to kill them. Considering their attacks are pretty predictable (at least after learning their pattern through trial and error), the bosses become an exercise in persevering over tedium. This is especially the case with the final form of the final boss, where dying isn't really much of an issue (it's mostly determined by an RNG), but it just takes around 30 minutes of continuous shooting to get you anywhere. And while the maps look good, there are some serious issues with navigation. Most maps have tons of doors every which way, almost all of them locked until you come across a button or a key. It is very easy to lose track of where you're supposed to go, and viewscreens aren't that helpful when every door and corridor looks the same. As if acknowledging this issue, Zaxtor uses respawning enemies to guide you in the right direction. 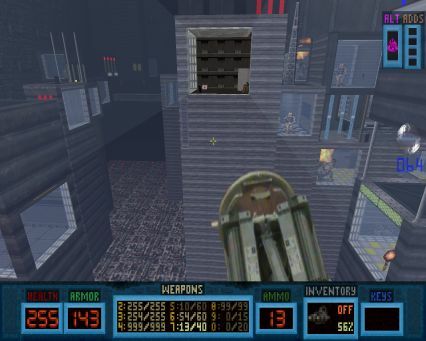 And when you finally do come across another button in another corridor halfway across the map, it's likely to send you not to a door anywhere near you but right back to that corridor you just came from (repeat ad infinitum, especially in The Core). It doesn't help that basically the last ten maps or so are various hi-tech bases made up of the same elements; thematical variety seems to die off once you get below Trequonia's surface. Every now and then there's a good idea. For example, in one map you end up unleashing a bunch of dangerous enemies that you need to avoid and lure into various traps. It takes a bit of trial and error but is ultimately satisfying. Another good idea is a bit where you need to make your way back to a room holding a remedy for poisoning before you die, but considering the confusing map design, your journey back to that one room in a map with a zillion rooms takes far more trial and error than should be acceptable. (A platforming segment is bad enough as it is; a ticking clock hovering above your head isn't going to make it better.) 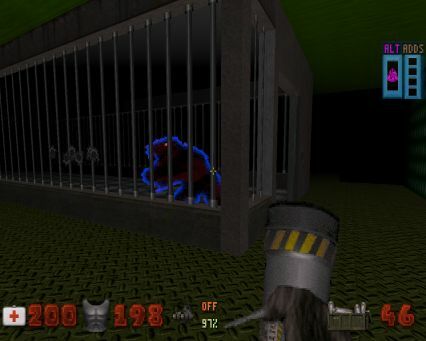 And the less is said about a particular maze filled with timed lasers and weird balls that follow you around the better, but I'll say this: there is a special place in the deepest pits of Hell reserved just for Zaxtor for putting that thing in the game. Even centuries of torturing him in every way imaginable will not make up for it. Then there are various new items that start off as good ideas but are often easier to miss than the damn keys in Redneck Rampage. Conclusion: Zaxtor should be applauded for the amount of work he has put into this game. That Trequonia is a labor of love (just as it is fantasy roleplay and wish fulfillment) clearly shows in every nook and cranny of the universe Zaxtor has created. The maps in their multilayered complexity are some of the most impressive I've come across. 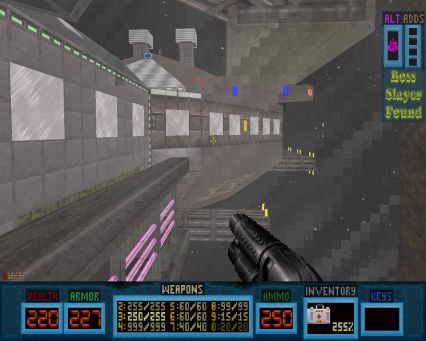 But when it comes to gameplay, Zaxtor is either a sadist or has difficulties judging the gameplay from the position of someone who plays these maps for the very first time. There is no flow to the gameplay, only a continuous stream of stoppages to be solved through repeated trial and error. Of course, one could take everything I have mentioned and consider it a positive, viewing Trequonia as the ultimate test of perseverance; but how many will really bother? Trequonia is just not fair; but then again neither were the games that inspired it.